I updated my son's Note 2 last night (about a 500MB OTA download) and it applied and really I see no big differences. There is the immersive mode in some apps, there's the default app manager (right now just lists home and messaging)... other than that, everything is under the hood. Luckily I've not seen some of the hiccups we saw when these devices were updated from 4.2 to 4.3. Go check for your OTA now, or just plug it into Kies on your computer. 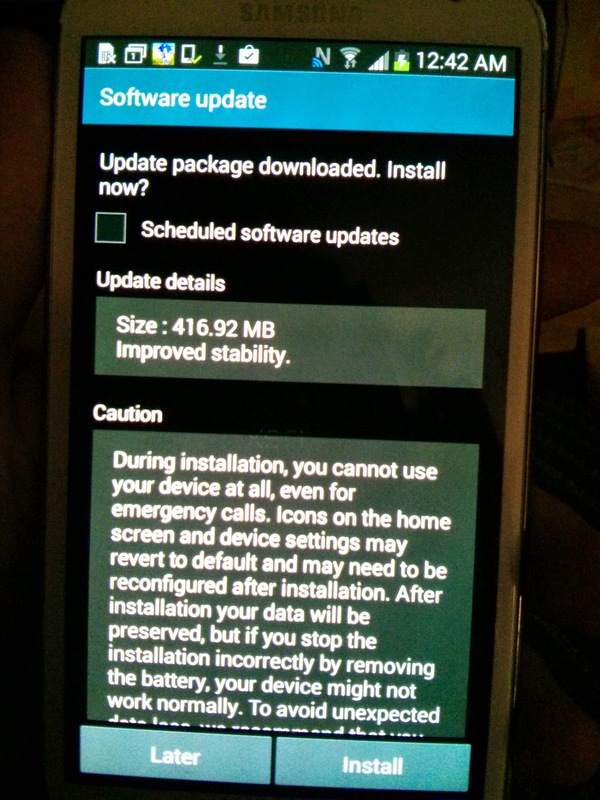 This update is for the Galaxy S3, Note 2, S4 mini (what? no S3 mini?) and the Galaxy Mega. 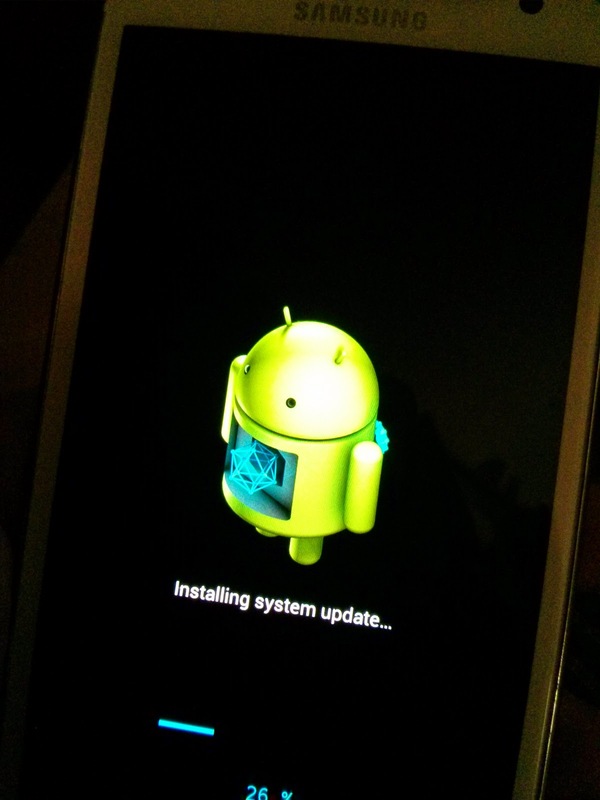 I've posted their status on the Device Firmware Update database on our page.